When this magnificent male Siberian ibex turned his back to us and disappeared, our hearts sank. But moments later, he reemerged for a second photo op. His group of females, young males and yearlings was tucked away up a narrow arm of Mongolia’s remote Yolyn Am Canyon. 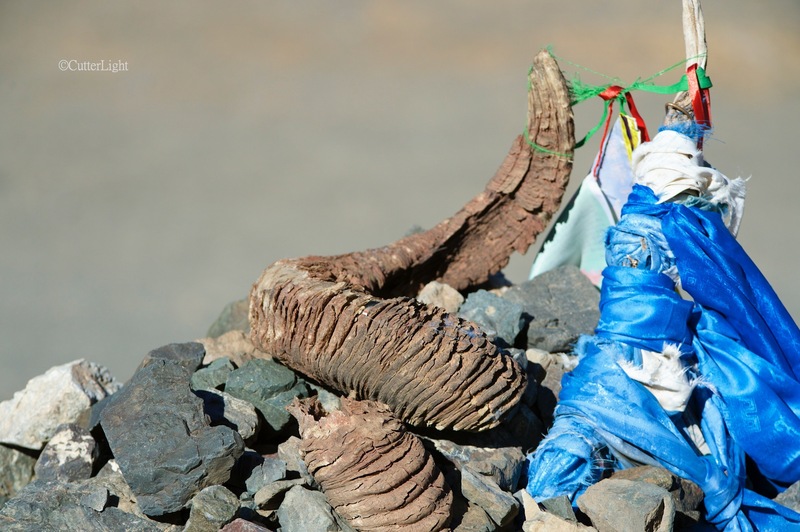 Ovoos – sacred mounds of stones and other objects – are common throughout Mongolia. This one is a testament to the special place Yolyn Am Canyon holds in the hearts of the Mongolian people. Translated as “The Valley of the Lammergeiers” (a raptor also known as bearded vultures), the canyon is home to abundant wildlife, some of it rare. On the evening of day four of our tour from Ulaanbaatar through the Gobi Desert, we stayed in a ger on the outskirts of Mongolia’s Yolyn Am Canyon. Situated at elevation in a narrow valley surrounded by jagged peaks, sunlight only briefly reaches the canyon’s floor each day. Until recent times, ice remained in the valley throughout the year, which made Yolyn Am the Gobi’s last glacier. In recent years, the ice is gone by August or September. By the time of our visit in mid-October, however, ice had returned to the spring creek that flows through the valley’s shadows. It is the universal story across our planet: Where there is water, there is life. 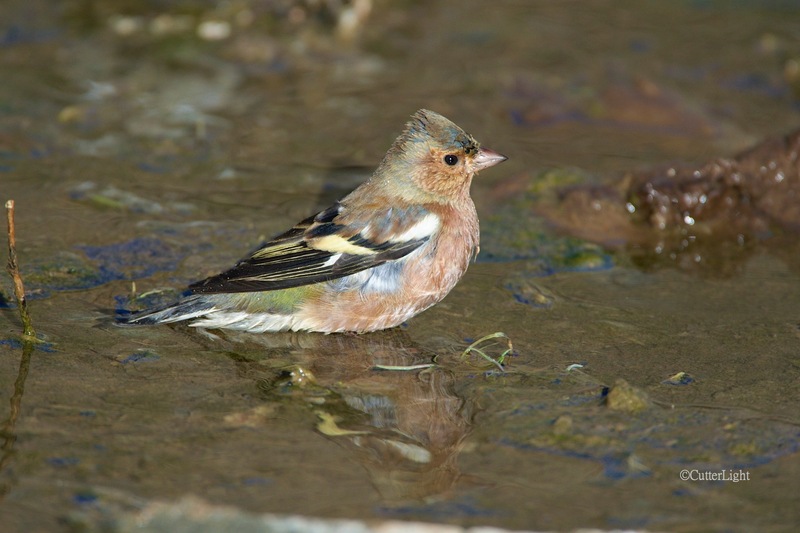 The spring creek emerging from the stone mountains of Yolyn Am are an oasis sought out by diminutive passerines such as this chaffinch (Fringilla sp) as well as charismatic megafauna such as the park’s argali bighorn sheep and Siberian ibex. Fringed with October ice even in the sunny portions of the canyon, this water makes for a chilly bath. 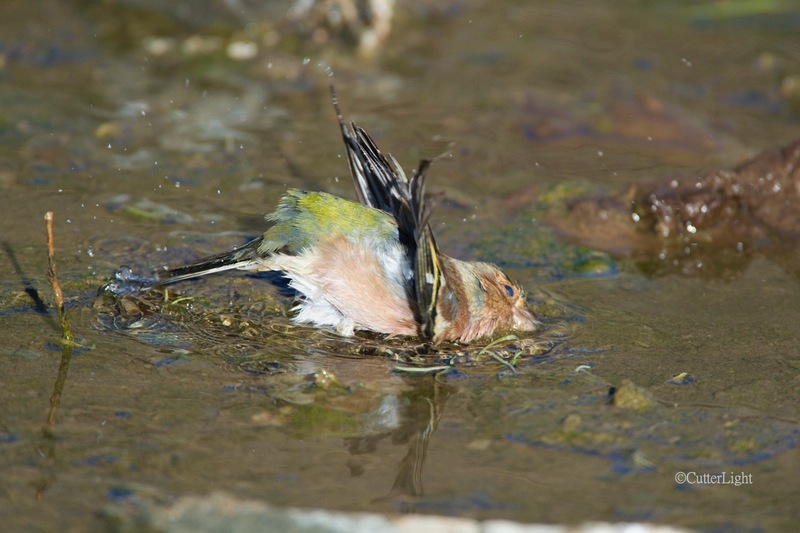 Dense populations of Daurian pika (Ochotona dauurica) and other rodents sometimes lead to disputes. 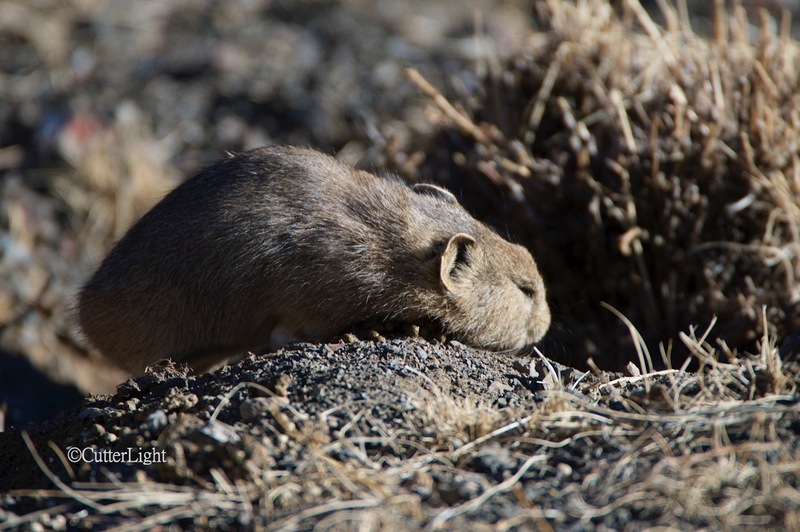 With winter’s icy lock looming, it is critical that each pika lay claim to a food source and stock up enough grass and seed to get them through the coming dark and cold. 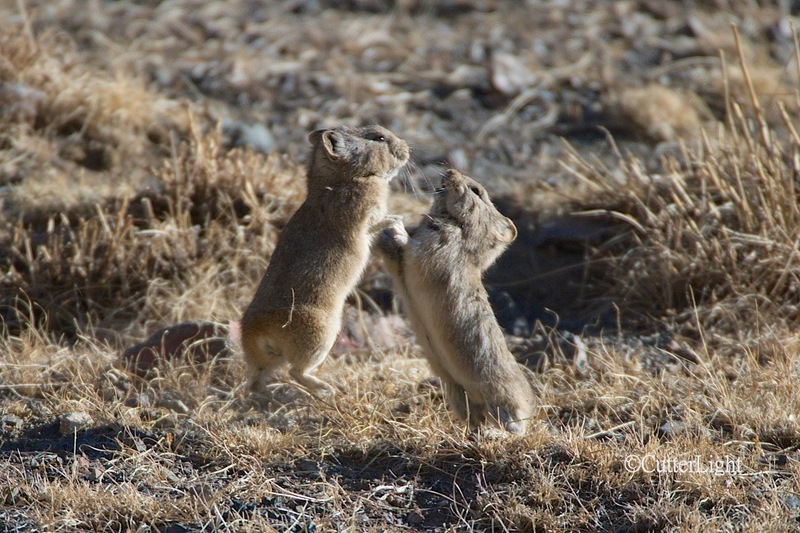 When stakes are high, these relatives of rabbits go at it with teeth bared and kicks flying. Ears back and chin down, the vanquished rival retreats to his burrow. 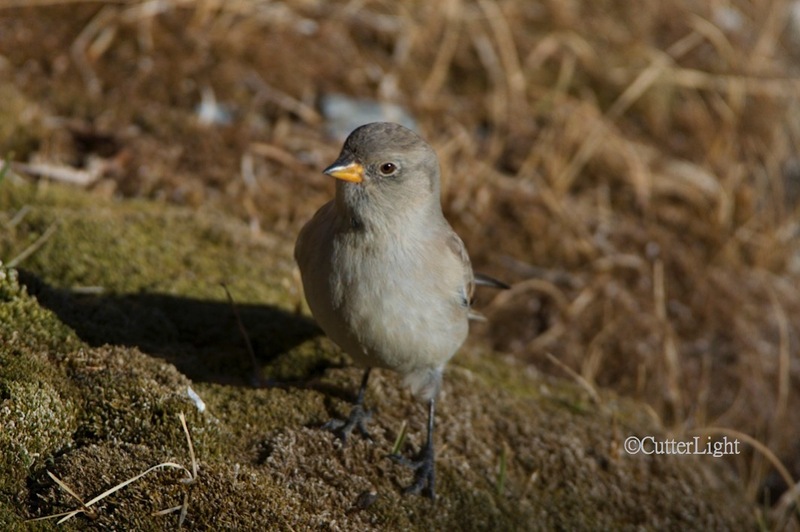 Walking through the narrow canyon in late morning light, we found ourselves surrounded by innumerable pikas, gerbils, wheatears, horned larks, buntings and other passerines. The abundance of wildlife was a revelation, and for me, an avid birder, it was hard to take my eyes of the creek bank and sunny glades where most of the action was going on. “Jack!” one or our party exclaimed. 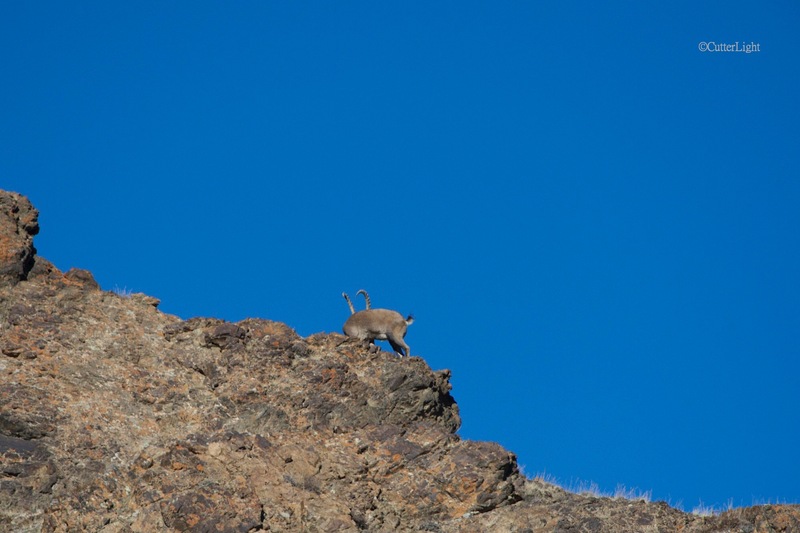 “Ibex!” I followed the line of his index finger to a far off ridge where, unmistakably silhouetted against a famously blue Mongolian sky stood a beautiful example of a mature male Siberian Ibex. In such flawless relief against the sky and perfectly still, it looked like a statue. Far off in the distance, it was staring directly at us and no doubt had been for some time. I crouched low and began pacing myself toward it. Forty strides, stop, shoot. Forty strides, stop, shoot. Along the way I passed up the very shot of red-billed choughs (Pyrrhocorax pyrrhocorax brachipus) – a crow-like bird with a distinctive bright red bill and matching legs – I’d been hoping to get on this trip. I kept closing ground on the ibex, and although still well out of range, I reasoned that with every set of 20 paces I might be getting slightly better shots. Which of us more surprised the other is impossible to say. For a brief moment, I considered stopping to reposition this 22 inch (55 cm) snake, or to at least get a better photographic angle on him. 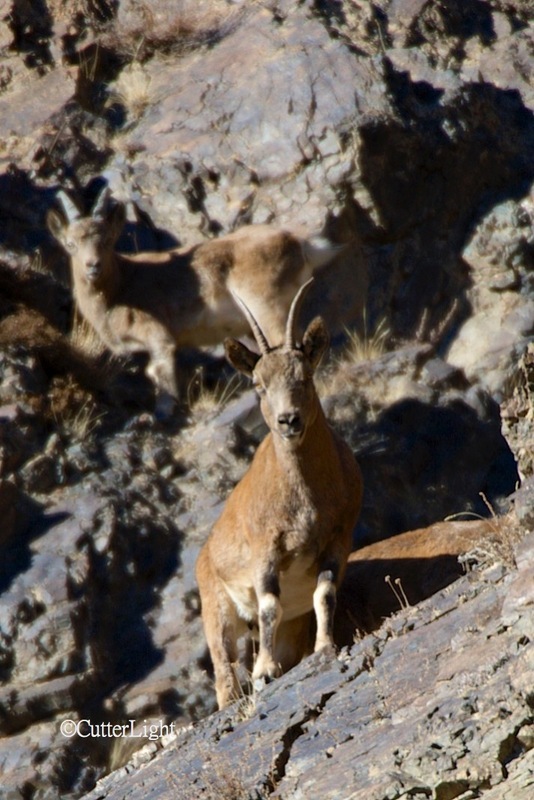 But the ibex… Ironically, it turns out that seeing a Halys pit viper (Gloydius halys) is more unusual than seeing an ibex. 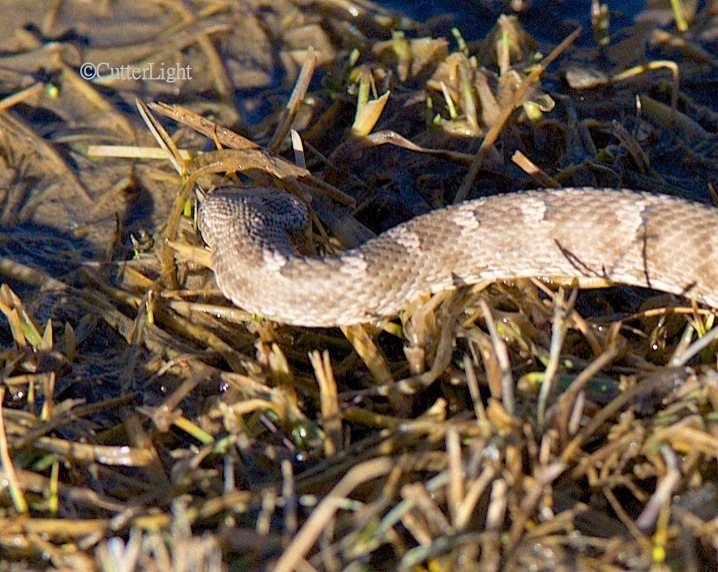 On the other hand, as the name “pit viper” suggests, it’s just as well I didn’t mess around with this guy. Besides, on this cold day in a land where raptors are abundant, it was in the snake’s best interest that I left him alone. This was a thrill. The ibex was still far off and way up, but he couldn’t have been any more beautifully silhouetted against the October sky atop this classic, jagged ridge. And then he disappeared for the last time. When I turned around to find Barbra and our group, they were pointing up a narrow canyon arm I’d just passed. The arm was on the other side of the ridge over which the male had disappeared, so I suspected this is where the rest of his group might be. The chase was on! Somewhere between walking and running, I began scrambling as fast as I could up a wild side canyon. For one short stretch where a feeder spring tumbled over a mossy rock face, the ascent was almost vertical and I struggled between the camera gear I was carrying and finding hand-holds. But once I got up on the bench, there they were. Six, no, eight… maybe a dozen ibex represented by young males with their horns just beginning to gain weight and curl, females, younger animals and kids. They were watching me, but they had the high ground and I was on the opposite side of the canyon. They didn’t seem particularly nervous, so I continued scrambling, breaking a trail as I climbed. With sturdy legs and heavily muscled bodies, the wild goats are stunning. At that very moment the ground around my feet exploded in a wind-rush thrum of blurred wings. Chukar! 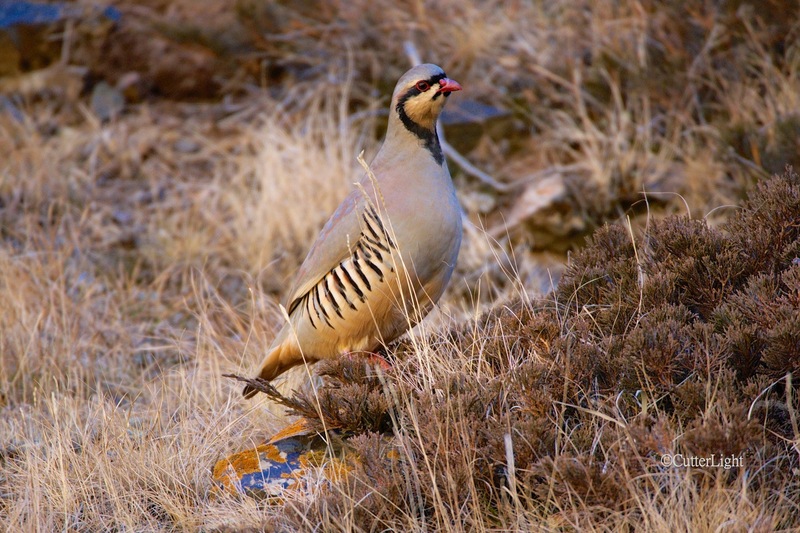 Shooting in manual, I was spinning dials like mad on my camera to adjust from the sunny slopes on the opposite canyon wall where the ibex were to the shade where this hen chukar was kind enough to pose on a lichen-stained rock complimenting her colors. The rest of the covey – her brood, I’m guessing – kited off to the opposite canyon wall and began calling each other back together. It seems that everywhere we looked that day, wildlife was abundant and cooperative. 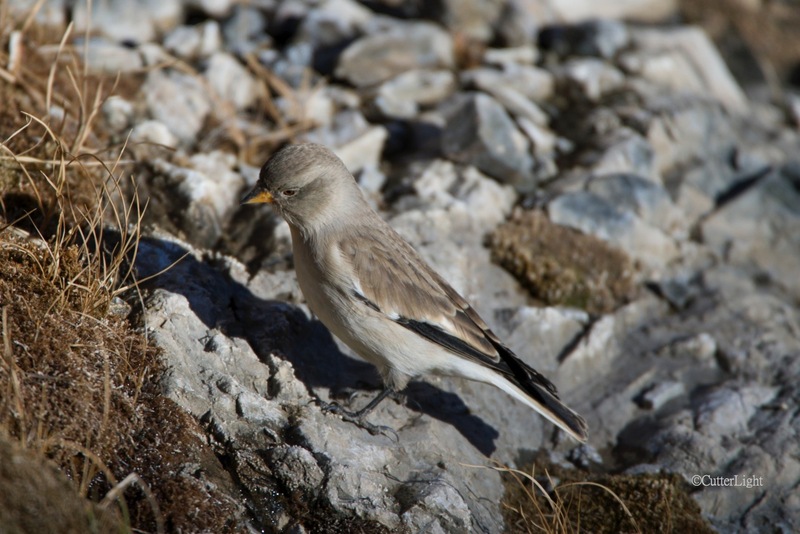 This young white-winged snow bunting (Montifringilla nivalis) insistently remained underfoot till I snapped a few shots. Our day-hike through Yolyn Am ended with shadows and cold crowding us out of the canyon, and though we could have walked further, we began to reckon that a warm ger and a hot meal sounded pretty good. Ice – the great aquifer of arid highlands. 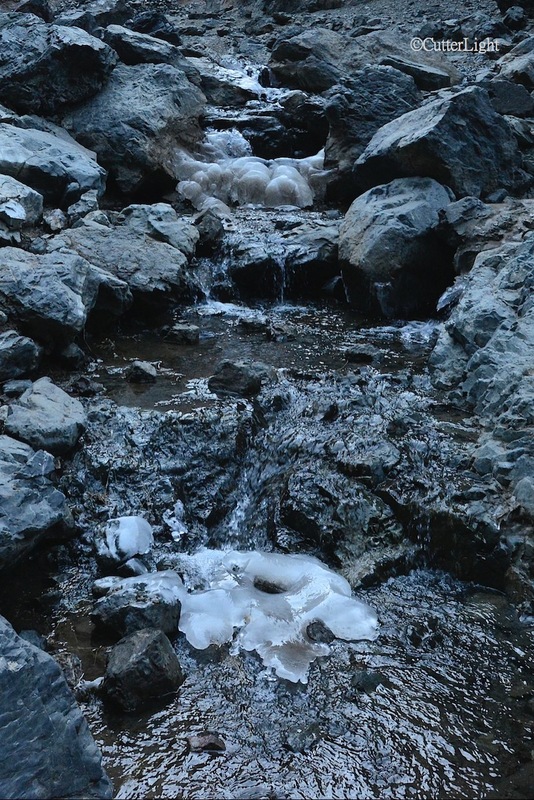 It is this frozen water, slowly melting through the summer, that keeps the Yolyn Am Canyon wet and fecund. We couldn’t help but wonder what changes are in store for this magical place as the planet continues to warm. 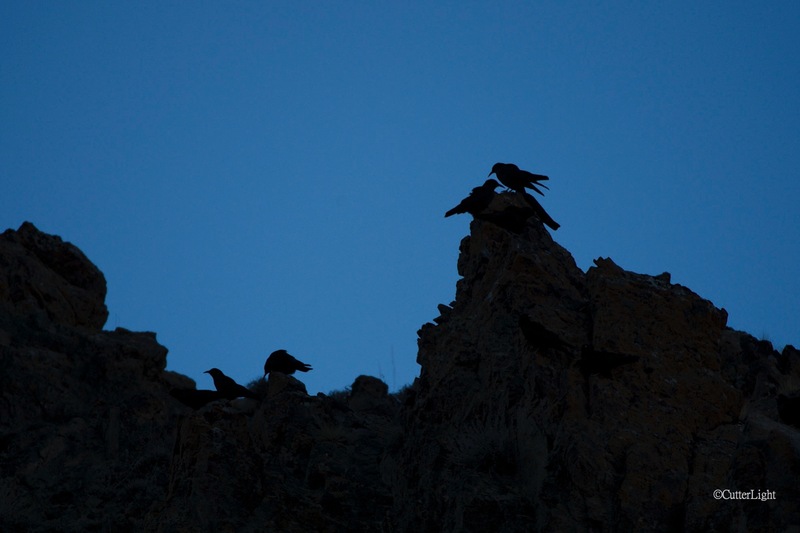 A flock of red-billed choughs gathers in the canyon’s last light before flying to their roosts. Keep the wonderful photos, enjoy them much. Maybe a map of the region . Hi Bill, Good idea regarding the map. We will try to get one up on the next post. Thanks for reading and commenting. Hi Bill, After checking copyright laws, it appears to be all but impossible to use a map on our website without violating the law.